The CWI Pre-Seminar is a comprehensive overview of the fundamental concepts and principles that every CWI needs to know. This self-paced, online program contains 80 hours of instruction specifically designed to provide a deeper understanding of the extensive body of knowledge covered in the fundamentals portion of the AWS Certified Welding Inspector exam. The CWI Pre-Seminar is comprised of ten engaging, multimedia courses. Each course is divided into short, easy-to-understand modules that can be accessed at any time of day or night from any computer with an internet connection. Participants save over 40% on the combined cost of the ten CWI online courses. Approximately 80 hours of instruction divided into 10 courses. Participants can access courses 24/7 from any computer with an internet connection. How much do I need to know before taking this seminar? All of the courses that make up the CWI Pre-Seminar describe fundamental concepts. Course topics are presented in clear, easy-to-understand language and easily digestible chunks of information. We start at the beginning, explain every term and topic, and provide practice questions to ensure you understand the material. However, depending on your proficiency with math and/or the basic principles that underlie the field of metallurgy, you may want to consider taking Fabrication Math I and/or Metallurgy I before taking the Fabrication Math II and Metallurgy II courses included in the CWI Pre-Seminar. This seminar is ideal for anyone that needs to learn or reacquaint themselves with the fundamental concepts covered in the Part A: Fundamentals portion of the AWS Certified Welding Inspector exam. 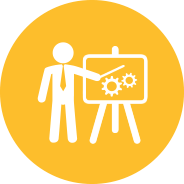 Instructor-led seminars are designed to review (not teach) the broad body of knowledge covered in the exam. Therefore, students are encouraged to look at the list of exam test subjects in AWS B5.1:2013 Specification for the Qualification of Welding Inspectors and learn about those with which they are not familiar before attending the instructor-led seminar. How long do I have to complete the CWI Pre-Seminar? Participants have access to the course content 24 hours a day for a period of 90 days from the date of registration. Does this seminar include a completion exam? 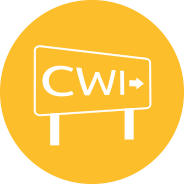 Each of the courses that comprise the CWI Pre-Seminar contains an online completion exam designed to evaluate the participant’s comprehension of the subject matter. Most of these online completion exams consist of 50 multiple-choice questions and must be completed within a 90-minute period. Participants who do not attain the 75% passing score may attempt to retake the exam a second time. Participants who pass the online completion exam earn an AWS Certificate of Completion for that particular course. Certificates of Completion can be downloaded and printed directly from the webpage. Participants who pass the completion exam are awarded Professional Development Hours (PDHs) based on the length of each course (1hr = 1 PDH). Yes. The Part A: Fundamentals portion of the Certified Welding Inspector exam contains questions concerning the topics covered in this seminar. This course is designed to help prepare participants for this portion of the exam. However, students are also encouraged to take the instructor-led seminar where Parts A, B, and C are reviewed in the context of the exam. Does the Pre-Seminar take the place of the week-long instructor-led CWI seminar? No. The CWI Pre-Seminar is designed to help students make the most of the CWI instructor-led Seminar. Given its limited duration, the live seminar is meant to review (not teach) the topics covered in the CWI exam. Therefore, it is important for participants to learn or reacquaint themselves with the CWI exam body of knowledge listed in clause 7 of AWS B5.1:2013 Specification for the Qualification of Welding Inspectors before taking the instructor-led seminar. This online seminar allows participants to learn or relearn this crucial information at their own pace. No. All the materials and resources necessary to complete the seminar objectives are included. Do I receive Professional Development Hours (PDHs) for completing this seminar? Yes. Participants who receive a score of 75% or above on a course completion exam will receive Professional Development Hours (PDHs). The number of PDHs earned depends on the length of the course. Yes. Professional Development Hours (PDHs) earned through AWS online courses and virtual conferences can be applied towards recertification, provided the PDHs are earned during the certification period. You must be connected to the internet to access AWS online courses. AWS supports the most recent versions of Google Chrome, Firefox, Safari, and Internet Explorer. Courses can be viewed on desktops, laptops, tablets, and mobile phones. Note, however, that a fast internet connection and a large screen offer better user experiences.